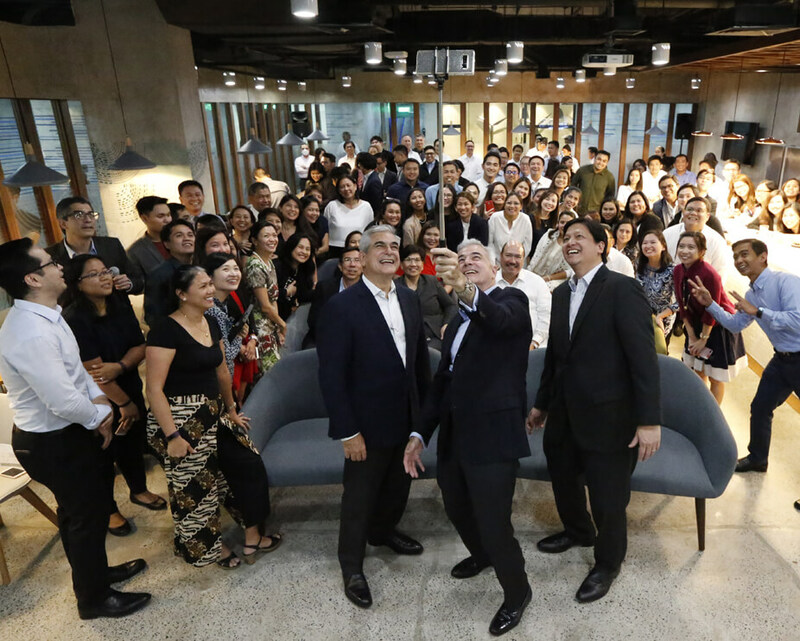 On April 2, AC Energy inaugurated their new office space on the 4th floor of Ayala 6750 with a ribbon-cutting ceremony attended by Ayala Chairman and CEO Jaime Augusto Zobel de Ayala and AC Energy Chairman Fernando Zobel de Ayala. Alongside this event, AC Energy CEO Eric Francia unveiled AC Energy’s rebrand that reflects the company’s core identity, values, and growth journey the past few years. The new brand identity is vibrant in concept and nimble in execution. Its identity is far from static—moving lines, spiraling patterns, and the vibrant hues of green, blue, and orange reflect AC Energy’s commitment to aspirational thinking, collaboration, and excellence. The space itself echoes this dynamism. Having come from the more corporate environment of Tower One, the new office is younger and free-wheeling. The office is a mix of open plan and private workspaces, with more space allotted for meeting rooms and large work areas. One of the largest spaces, known as the Melting Pot, is a well-lit communal area featuring modular tables, contemporary furniture, and a large concrete bar. Employees have direct access to the pantry, making it a great place for a meal, a chat, or informal meetings. These new changes are not just a picture of the company’s identity, but also a roadmap of how AC Energy intends to achieve its 2025 vision of exceeding 5GW in attributable capacity—through their unwavering bravery to aspire for bigger things, their commitment to close collaboration with partners and stakeholders, and the dynamism and determination to deliver nothing but excellence.